Sign-up and receive Property Email Alerts of Residential New Developments in Bois Cheri, South Mauritius. 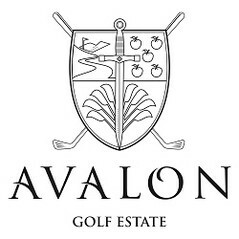 Upon the acquisition of a plot of land at Avalon Golf Estate, the plot owner will have a choice of six different types of villas to choose from the appointed architect firms, namely Lampotang Architects and Morphos Architects. With the aim of preserving the natural harmony of the landscape and to keep the overall architectural homogeneity of the villas, clear specifications will be given to every owner. The villas range from 2 to 4 bedroom with large common areas to reunite everybody at meal times. The Par Suite is a small annex separated from the main villa. It consists of an en-suite bedroom, veranda and kitchenette. This option may be combined with any of the villa types available.